The start time depends on weather and sea conditions. You will be informed of the exact time in advance. Half-day lessons are also available. Please contact us for more information. The minimum age for to join is 10. The maximum number of people per group is 6. If you book 20 lessons, you receive a discount. Please contact us for more information. This course is available year-round, with the water temperature between 15º to 17º in the winter and 20º to 24º in the summer. We provide winter wetsuits November-April, and summer wetsuits May-October. 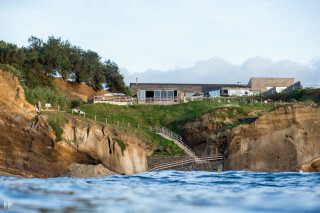 The school is open daily from 9:00 a.m. to 7:00 p.m. You can rent surfboards, stand up paddleboards, boogie boards and fins, snorkel goggles and fins, and bicycles. Our beach bar includes a terrace overlooking the beach and sea, and offers a variety of snacks and drinks. It is open daily from 9:00 a.m. to 7:00 p.m.
What to bring: Towel, shorts or swimsuit, and sunscreen. 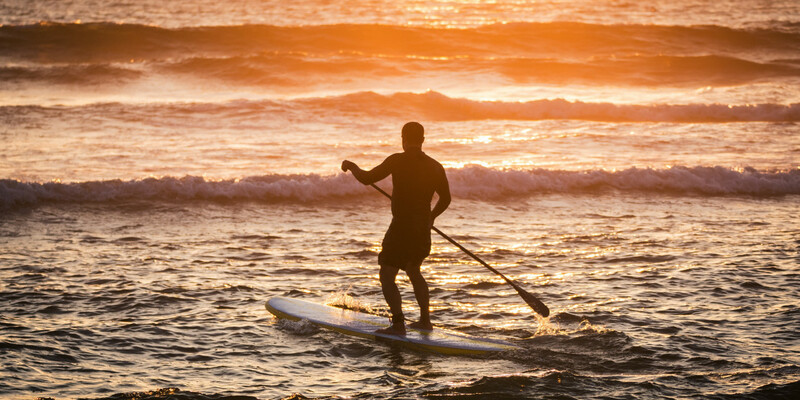 Stand up paddleboarding - or SUP - is easy for beginners to understand, and very, very fun once those beginners decide to start learning tricks to reach the next level. With these lessons, you will improve whatever skills you have, all while exploring the beautiful waters of a volcanic island in the middle of nowhere. What makes these classes unique is that they are fully available to all ages and levels. The instructors create groups of people with similar experience and expectations, which results in well-balanced sessions that move at a speed suited for all students. At the start of your session, you receive your wetsuit, leash, and SUP board. The exact location of the course is decided a day in advance based on the weather and sea conditions. This ensures the perfect waves for our 1.5 hour lesson. Our lessons usually take place on the south coast's Milicias beach in the winter, and the north coast's Santa Barbara beach in the summer. 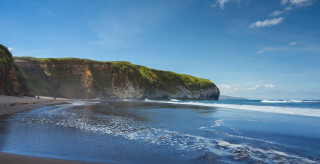 Both beaches have sparkling black sand, with rocky volcanic formations stretching into the sea. And if you'd like to paddle to lagoons, just let us know in advance and we'll do our best to set it up. You are in the water most of the time and always under the guidance of your instructor, who not only provides individual feedback, but also shares many interesting facts about the island. If you have any questions, he's the one to ask! After your session, you can rent equipment from our school and continue practicing, or grab some food and drinks at our beach bar or at one of the beachfront restaurants. The more classes you take, the better at the sport you'll become. But you know that. So if you're unsure if SUP is as fun as everyone says, why not try it out? Once you discover this addictive combination of exercise and exploration, you'll never look back.